Take the pressure off your mouse-clicking fingers by creating your own keyboard shortcuts using this add-on. 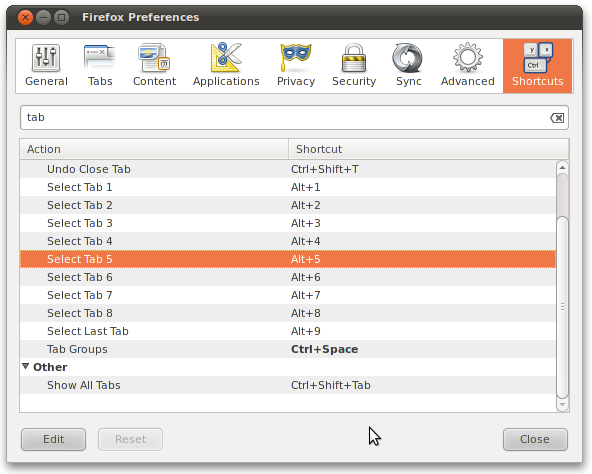 Customizable Shortcuts : Once installed, go to Tools, Options and click Shortcuts. Select a shortcut from the list, click Edit and specify the keys you want to use to perform that task. Yes, its as simple as it gets .. Here is another great firefox add-on which I would like to share i.e The Most Unnecessary Firefox Add-On. This add-on aims to provide relief from a hard day online. Click the icon in the bottom-right corner of the Firefox window and a bird appears. Click the bird to make it cheep. It’s pointless, yes, but it worked for us! And gear up for the next upcoming post on the add-ons, plugins and extensions for your favorite browsers. Also see some of the best browser extension posts in past, I am sure you gonna love the way they help you in your routine work. click here Add-ons for Chrome , Firefox and Opera.